As the 1000th test approaches ScrumQueens believes that the introduction of a world ranking list for women's test rugby is long overdue. Most sports - team and individual - have a world ranking, and while we know that official IRB rankings are being worked on, we've decided to have a go ourselves until that happens. Sevens has dominated the agenda in recent months, but now we turn the focus back on fifteens. In the next few weeks we will see the 1000th test match, England’s tour of New Zealand, the Nations Cup (both senior and U20s), the Asian Four Nations – and then next year the Women’s Rugby World Cup itself. For all of the excitement and intensity of Sevens, for many followers of the game fifteens remains the real thing. As we saw last weekend with the match in Prague between Switzerland and the Czech Republic, it is the game that a huge number of players ultimately want to play from all around the world. However, that test match also showed that something is still lacking in the women’s game. It was a one-off game and – other than it being the 999th women’s test – it was a hard sell, without context. It attracted a good crowd certainly, but it would be interesting to see how much more interest could have been generated if it had been clearer where the teams were, both in relation to each other, and to the rugby world at large. Men’s rugby solved this problem years ago. They all have an official ranking list – indeed its quite hard to find a sport that does not have rankings though women's rugby being an amateur sport of course makes it difficult. And the reason is simple. Not only do rankings add an extra frisson to every match (because ranking points are available), but for the casual viewer (as well as the press!) a ranking makes any game both more interesting and understandable. If you know that you are about to watch the official Number One in the world take on the Number 20 you have a different expectation than if you are watching Number One play Number Two (or, come to that, Number 20 play Number 21). In short it makes every game important, gives participants in even deadest of rubbers and one-off games something to play for, and sells the game by broadening appeal and understanding. But women’s test rugby has not yet got an official ranking other than the final positions in the previous World Cup, a ranking that is often out-of-date within months (if not weeks) of its conclusion, even leaving aside the fact that only 12 teams are included. While we await an official test ranking system from the IRB, and as we approach the 1000th test we think that time has come for a ranking for women’s test rugby. In the absence of an official list we have looked at a number of attempts by rugby enthusiasts to construct such a ranking which have used a number of systems, but we believe the key requirement is that any ranking should be based on criteria as near to those used by the IRB for men’s rugby as possible – and therefore as near as possible to how any official ranking is likely to appear. As a result – and with his kind permission – we have decided to adopt the ranking list devised by French statistician Serge Piquet. This first appeared in 2009, and has been generally well received by its followers. Serge’s methodology is close to that of the IRB and takes into account the relative ranking of teams for each match, as well as venues, competitions, and how recently each match was played (teams that are idle or play few tests gradually slip down the ranking). 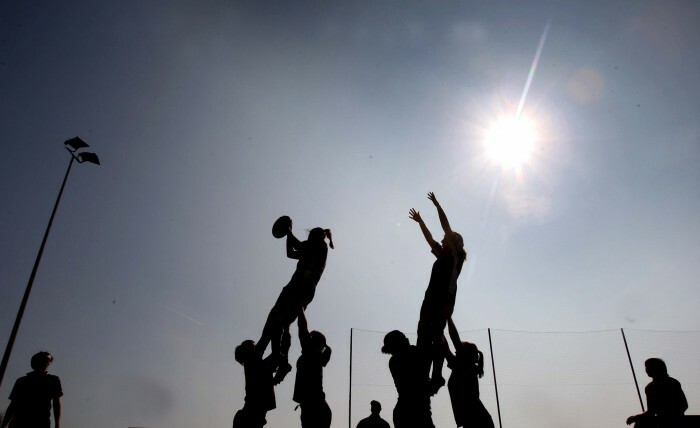 It is our intention to publish the ScrumQueens Women’s Test Ranking (by Serge Piquet) every month, or after significant tournaments, until the IRB issues an official ranking of its own at which time we will replace these. It must be noted that these rankings are unofficial. The first ranking – including all 999 tests up to, and including, last weekend’s game in Prague – appears in the features section today. Enjoy and tell us what you think!